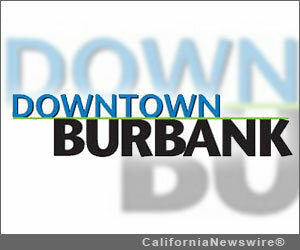 BURBANK, Calif. /California Newswire/ — This week, the Downtown Burbank Partnership is pleased to announce the dates for five key events in 2013. A majority are free to attend, and all are family friendly. Downtown Burbank (Los Angeles) is a mixed-use urban neighborhood spanning 34-blocks and featuring more than 300 shops, restaurants and businesses. At the heart of entertainment industry, the area is renowned for its dynamic street scene, outdoor dining and pedestrian orientation. More than two thousand men, women and children will lace up their shoes on Thanksgiving morning to participate in the fourth annual Turkey Trot 5K/10K Run. Benefiting the Burbank Community YMCA’s financial assistance program, the event features cash prizes for top finishers, a fun expo and costume contest. For more information and to register, please visit www.burbankturkeytrot.com or call the YMCA at (818) 845-8551. Downtown Burbank will kick off a month-long holiday celebration with Santa’s Downtown Wonderland on December 1. Festivities will then continue right up through New Year’s Day with dozens of events throughout the district, including the Mayor’s Tree Lighting Ceremony, Metrolink Holiday Toy Express, Holley Trolley Tours, Breakfast with Santa and numerous winter activities. www.downtown-burbank.org . For further information on any of these events, the public is asked to please call (818) 238-5180 or visit www.downtown-burbank.org. Downtown Burbank is a mixed-use urban neighborhood spanning 34-blocks and featuring more than 300 shops, restaurants and businesses. At the heart of entertainment industry, the area is renowned for its dynamic street scene, outdoor dining and pedestrian orientation. Destinations include Urban Outfitters, IKEA, Barney’s Beanery, and Burbank Town Center. AMC movie screens consistently rank in the top five of theatrical circuits nationwide. The area is bounded by Verdugo Avenue, Glenoaks Boulevard, Burbank Boulevard and the I-5, and contains more than 9,000 parking spaces. The District is managed by Downtown Burbank Partnership, a California nonprofit mutual benefit corporation.